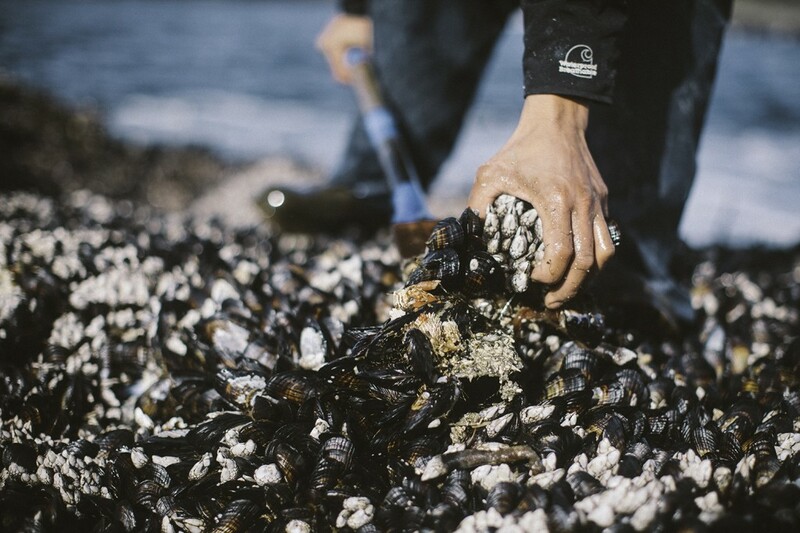 A Sustainable Table: Reflecting on the T’aaq-wiihak Fisheries, Aboriginal Food Production, and the Humble Gooseneck Barnacle - Good Food RevolutionGood Food Revolution | Wine is food. Gooseneck barnacles, or ca̓ʔinwa to the Nuu-chah-nulth First Nations people, being harvested in an aboriginal-managed fishery located on Vancouver Island. Photo credit: Ha’oom Wild Seafood. Last Wednesday evening, I had the opportunity to partake of Ocean Wise’s A Sustainable Table event at Toronto’s Pangaea Restaurant. Through an incredible presentation of diverse and sumptuous dishes, the event celebrated Ocean Wise’s 10-year anniversary as a national sustainable seafood program at the Vancouver Aquarium. 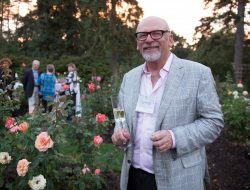 The program, which is especially strong in its home base of Vancouver, has grown to over 600 partnerships across Canada, including a growing number of restaurants and suppliers in Toronto. Featuring no less than four chefs – specifically Martin Kouprie of Pangaea, Brad Long of Café Belong, Jason Bangerter of Langdon Hall, and Rob Gentile of Buca – the event’s five-course menu boasted familiar ocean fare, including a beautiful sugar-cured trout by Bangerter, as well as lesser-known seafood. Of the latter, the ingredient that intrigued me above all others was an odd little crustacean prepared by Kouprie: the gooseneck barnacle. Described as akin to a “little monster” by Kouprie, each barnacle resembles a scaled-down, vibrant geoduck with its bright pink, vaguely phallic body. However, unlike the geoduck and its unremarkable bivalve shell, the gooseneck features an igneous protrusion as its armour: bubbling, volcanic, and strangely primeval in form. It is unusual to look at, to say the least. I take a bite. What I uncover is a mild chewiness and tenderness that prompts me to recall the texture of perfectly prepared octopus. In terms of flavour, the gooseneck exhibits an intense brininess, albeit with a surprisingly sweet finish. It is an intriguing gastronomic experience enhanced by Kouprie’s complex dish, as well as by the bright citrus notes of Southbrook Vineyard’s organic Sauvignon Blanc. That said, I find the pleasure of the dish elevated less by the exquisite culinary flourishes, including my first taste of sea asparagus, and more by the crustacean’s cultural status as a traditional aboriginal delicacy. Considering my appetite for food justice, as well as my growing interest in indigenous agricultural and food production methods, it comes as no surprise that this rich sociocultural context is the juiciest bite. 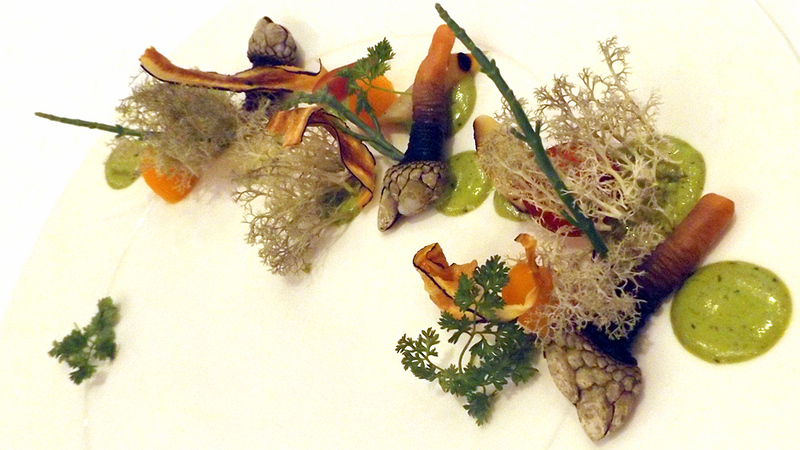 Chef Martin Kouprie of Pangaea’s take on the gooseneck barnacle. The gooseneck barnacle is one of only two species of barnacles consumed in the world, and can be found in North America clinging to the rocks that surround Vancouver Island. These curious animals, known as ca̓ʔinwa to the Nuu-chah-nulth First Nations people of the west coast, can only be accessed at low tide – particularly during the period of very low tide in the winter season. It was during these times that the Nuu-chah-nulth would gather the gooseneck by hand, locating the finest barnacles on the rocks closest to the areas of high wave action. To gather the goosenecks, Nuu-chah-nulth harvesters would pry choice clusters off of the rocks, leaving the vast majority to regenerate and grow. Because of the very specific, limited, and labour-intensive conditions needed to locate and harvest goosenecks, they remained a delicacy within Nuu-chah-nulth culture – albeit one that has been enjoyed for countless generations. Today, surprisingly little has changed in the harvest of goosenecks in British Columbia. On the west coast of Vancouver Island, just outside the borders of Pacific Rim National Park in Clayoquot Sound, one finds North America’s only gooseneck barnacle fishery. This fishery, part of a larger network known as the T’aaq-wiihak Fisheries, is co-managed by the Nuu-chah-nulth people in conjunction with Fisheries and Oceans Canada. T’aaq-wiihak, in the Nuu-chah-nulth language, means fishing with permission of the Ha’wiih, or traditional leaders. 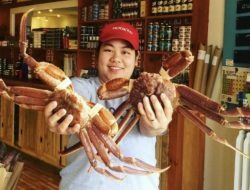 Although a previous gooseneck fishery in the area closed in 1999 following concerns about marine depletion, the current fishery, under the brand Ha’oom Wild Seafood, opened in 2013 and has just recently gained recommendation by Ocean Wise as a sustainable seafood source. As in the past, the barnacles continue to be gathered by hand, albeit by a team of a half dozen harvesters who operate across the 48 rocks that comprise the fishery. 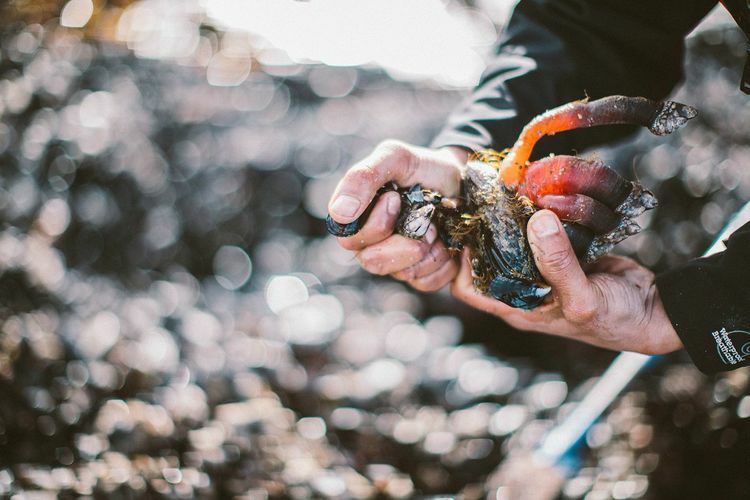 Each harvester individually selects the choicest barnacles, being careful to choose specimens that have attached themselves to mussels, which are easy to remove, as opposed to rock. Goosenecks identified as ideal for consumption are then wrested using a spade-like metal tool that causes very little damage to the surrounding barnacles. The T’aaq-wiihak Fisheries also monitor every one of its 48 rocks individually, ensuring that each exhibits plentiful gooseneck stocks; this rigorous, rock-by-rock approach to monitoring helps the fishery maintain a continuous, healthy population of goosenecks for commercial harvest. It should also be noted that the selectivity of the harvesting process entails almost no by-catch, and that the harvesting methods themselves produce minimal site and habitat damage. Gooseneck barnacles being wrested from their habitat. Photo Credit: Ha’oom Wild Seafood. In essence, the T’aaq-wiihak gooseneck barnacle fishery exhibits all of the best qualities of a sustainable seafood resource management initiative: an abundant and resilient population; a comprehensive management system; the minimization of by-catch; and a minimized negative impact on the greater aquatic habitat. The fishery’s strategies, which are deeply rooted in aboriginal practices, entail that the overall yields of goosenecks are relatively modest: only about 3% of the fishery’s barnacles are harvested, with an annual net weight of just over 5,500 kilograms. This smaller yield is offset with an understandably increased market cost, which just exceeds $40 per kilogram. That said, the reduced harvest of the fishery both pre-empts and compels a respect for the preciousness and precariousness of sea life; that is, the gooseneck barnacle is seen as a wild, natural resource that is not easily replaced, and is subsequently harvested with attention and care. Of course, this isn’t to suggest that the gooseneck lacks feasibility as a commercial product; if anything, the fact that restaurants like Pangaea are promoting this humble barnacle means that it is on track to becoming a niche culinary product. One might even argue that this demand is directly because of its rarefied nature – it would be unwise to underestimate the attractiveness of relative scarcity. 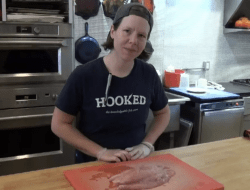 Still, I wouldn’t want to underestimate the gooseneck’s gustatory appeal either – there is much to be said for that sweet, yet briny bite! What intrigues me about the gooseneck barnacle is the fact that its harvesting practices have indeed changed so little from their origins: this is a contemporary, commercially available product that fully embraces traditional aboriginal methodologies and empowers the Nuu-chah-nulth people. Not only do they maintain a direct role in the continuing health of the barnacles’ stocks, they are also able to exercise control over the resource as its co-managers. The T’aaq-wiihak Fishery promotes the cultural and social wellbeing of the Nuu-chah-nulth just as much as it upholds an ecological responsibility to the oceans – all while maintaining a viable business. Perhaps more aptly, ecological responsibility is embedded in the perspective of the Nuu-chah-nulth through the notion of Hishukish T’sawalk, which means “everything is one, everything is interconnected.” Hishukish T’sawalk conceptually underpins the inherent sustainability of the Nuu-chah-nulth’s traditional harvesting practices, which promote harmony and balance with the ocean. This is important in that it counters the pervasive view of sustainability as a set of novel methods and practices yet to be uncovered and developed. Instead, the T’aaq-wiihak gooseneck fishery shows us that we really only need to look to aboriginal practices to find effective models for sustainable food production. Happily, this view is affirmed by marine ecology experts, and specifically by the Vancouver Aquarium’s Ocean Wise program. For the evening, Ocean Wise, Pangaea restaurant, and Toronto’s De La Mer seafood market, who have supplied the goosenecks on behalf of T’aaq-wiihak Fisheries, have partnered to bring sustainable seafood like the gooseneck barnacle to greater attention. 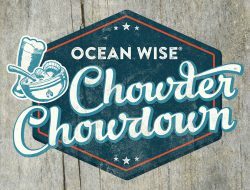 What this says to me is that Ocean Wise, which focuses on making sustainable seafood options available to Canadians, is open to collaborating with aboriginal food producers to provide support not only for their products, but also for the sustainable methodologies and cultural values that underpin them. On the partnership, Alex Gagne, T’aaq-wiihak Fisheries’ Coordinator, is pleased: “having a third party [like Ocean Wise] acknowledge the sustainable management practices of the Nation, as well as the cultural, social, and economic importance of the resource, is appreciated.” Indeed, acknowledgement from organizations like Ocean Wise is a necessary step toward developing relationships with First Nations as an indispensable human and cultural resource from which we can learn deeply, particularly in regards to ecological sustainability. “This fishery is important to the Nations,” says Gagne. “It allows them to showcase their sustainable management practices, as well as share a product that has been a delicacy in the communities for many generations. The barnacles have created an opportunity for the Nations to share their traditional harvesting practices, the story of their culture, proven aboriginal rights, and stewardship ideals. It has brought attention to their remote communities, and created jobs in a traditional resource sector where the availability of jobs is quite limited, and unemployment rates are quite high.” Given the mutual benefits for the Nuu-chah-nulth people, the oceans, and Canadian seafood consumers, it is my hope that there will be continued collaboration with aboriginal fisheries like T’aaq-wiihak in order to cultivate and sustain our ocean resources one small harvest at a time. 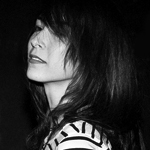 Diana McNally is an educator and community worker developing food security and alternative economic initiatives in the Toronto neighbourhood of Parkdale. She believes that access to healthy, affordable food is a fundamental right for everyone.